To Be China Most Professinal Manufacture in Sliding Table Saw line. 1),Twice dynamic balanceTested for each spindle to improve the machine precision. 3),Heavy-Duty with unique design,much heavier.4), 14 positions-location to make sure its stability and precision during delivery and working. also used by sign shops to cut sheets of aluminum, plastic and wood for their sign blanks. Professional manufacture with 15 year production experience in panel saw machine. 11,000 square meter panel saw workshop, first class skilled workers,one hour to Qingdao port. 5 steps strict quality control,CE certificate available. Timely delivery with short production period. Professional afer-sale service, Email will be get back in 24 hours. 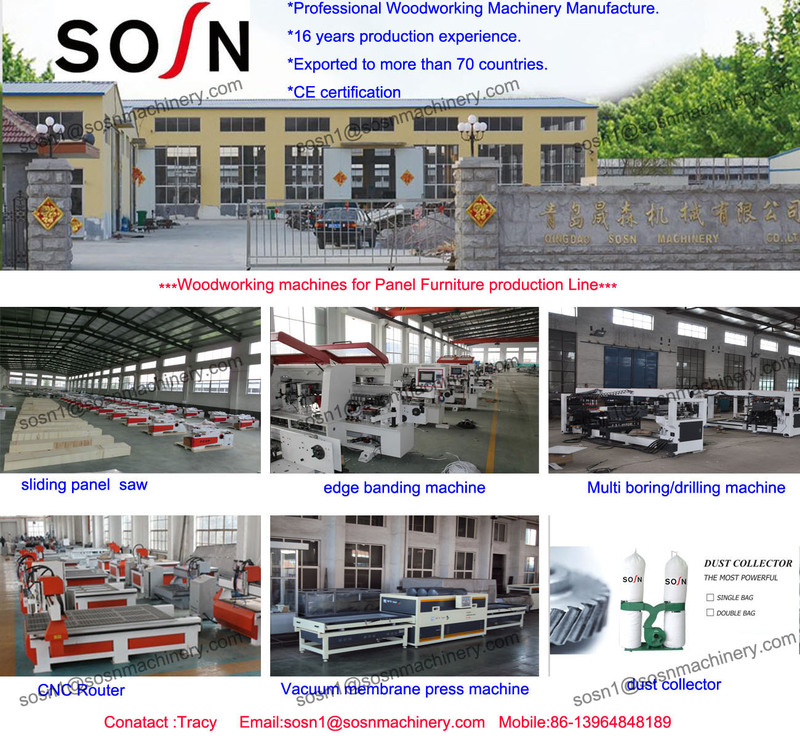 More than 70 countries customers have enjoyed SOSN panel saw. 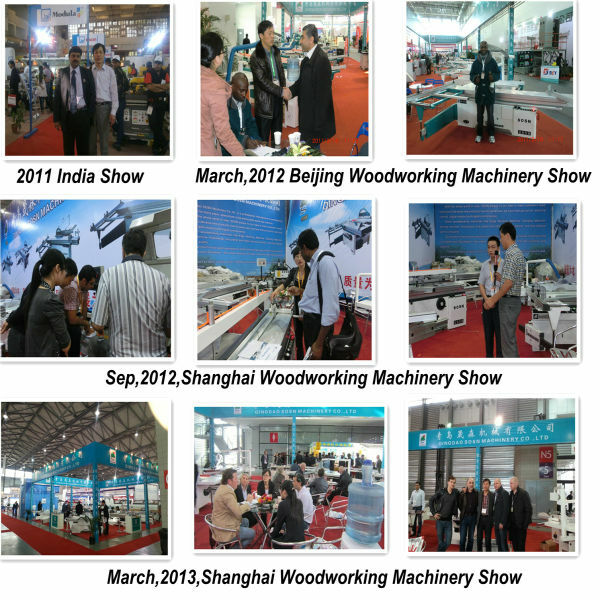 Sliding Table Saw Exhibition Show. Standard wooden case with strecth film. Please contact us freely for more sliding table saw details. Sincerely welcome your inquiry,we woule like to talk with you about how to choose a real high quality saw machine from every details not only the basic function or parameter.